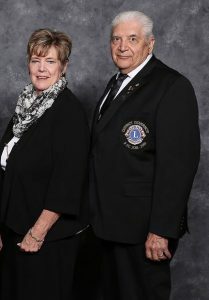 DG Arthur A. Matje is a 40 year member of The Eldridge Lions Club. Served a District Governor 2010-2011. Has attended International Lions Conventions, USA/Canada forums, and Great Plains Lions Leadership Institute. A Knights of Columbus member for 52 years. Is a retired funeral director after more than 50 years. He and his Partner in Service for 54 years, have three sons, ten Grandchildren, and four Great Grandchildren.